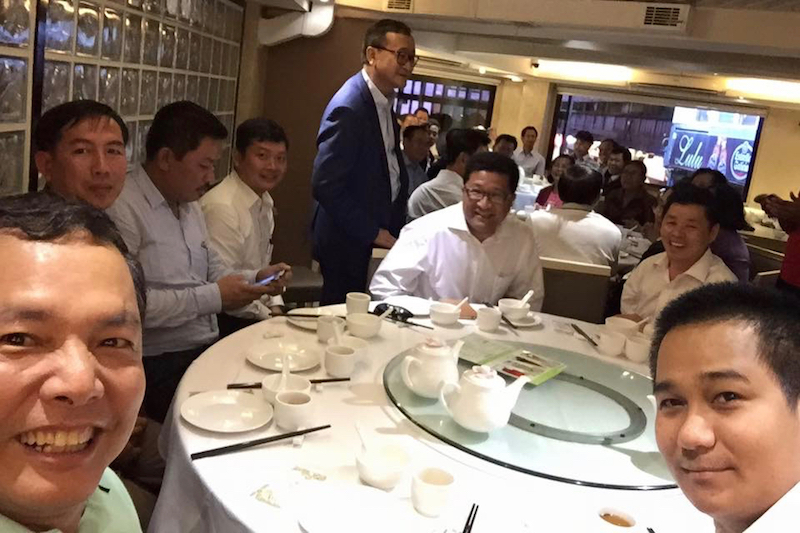 Senior members of the CNRP traveled to Hong Kong over the weekend to meet with exiled opposition figure Sam Rainsy ahead of the promulgation of a law designed to sever Mr. Rainsy’s ties to his former party on the eve of its fifth anniversary. At least two separate CNRP delegations made an “unofficial visit,” according to CNRP Vice President Mu Sochua, who made the trip. Photographs uploaded to Facebook by Vice President Eng Chhay Eang showed what appeared to be more than 30 party lawmakers, members and supporters gathered in the city. The meeting comes on the heels of amendments to the Law on Political Parties passed last week by the National Assembly that, once signed by the king, will bar parties from associating with convicts or featuring their likeness in party media. 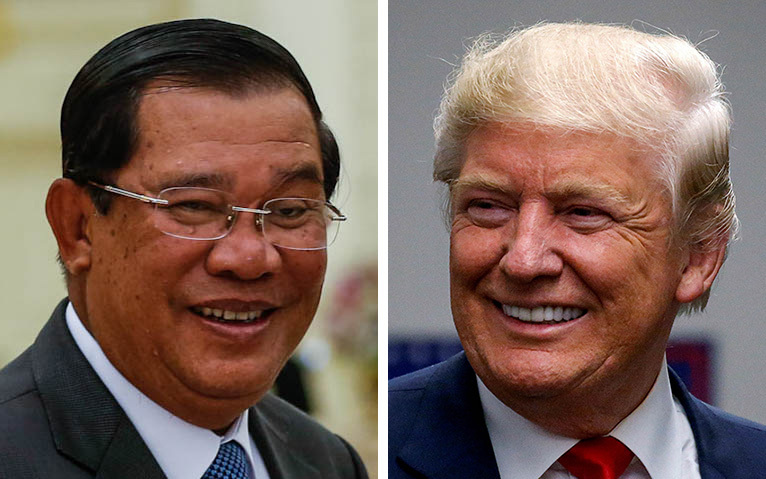 Prime Minister Hun Sen proposed the changes earlier this month to sideline Mr. Rainsy, whose pile of legally dubious court cases forced his resignation from the party in February after the CPP pushed through an initial round of amendments to the law. Mr. Rainsy said the gathering was “like a family meeting” of old colleagues and that he was “very touched” to see them again. “I am sure we will be united again soon under the same roof,” he wrote in an email on Sunday. CPP spokesman Sok Eysan said the Senate’s permanent committee would set a date for a full vote on the proposed changes today. Once approved by the Senate, which is controlled by the ruling party, the legislation will reach the CPP-friendly Constitutional Council for review before being pushed to King Norodom Sihamoni to sign the law into existence. King Sihamoni did not sign off on the earlier amendments to the law in March because he was in China for a medical checkup. That duty fell to Senate President and CPP stalwart Say Chhum instead. “We’ll wait and see…whether you dare” to meet Mr. Rainsy after the law is passed, Mr. Eysan said on Sunday. Both parties had made overtures at a union since Mr. Sokha formed his party in 2007, but were scuttled over personal rivalries between the two leaders, organizational differences in their parties and mutual suspicions over CPP ties. But analysts said the 2012 commune elections, which saw the SRP losing seats as the HRP made gains, gave the parties more equal footing for negotiations that led to the merger. The CNRP surprised political watchers and the ruling party with its strong 2013 national election showing, followed by a negotiated end to the political deadlock the next year, the terms of which were quickly violated by the CPP. 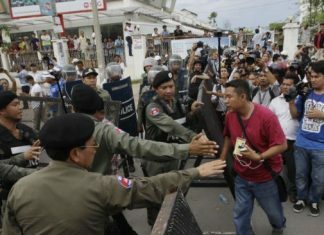 The following years saw opposition members beaten, jailed and exiled as a slew of criminal charges, widely perceived as politically motivated, mounted against Mr. Rainsy. “I think the fact that they’ve held together so far…reflects the fact that they realize they can potentially win power, win an election together,” he wrote in an email. 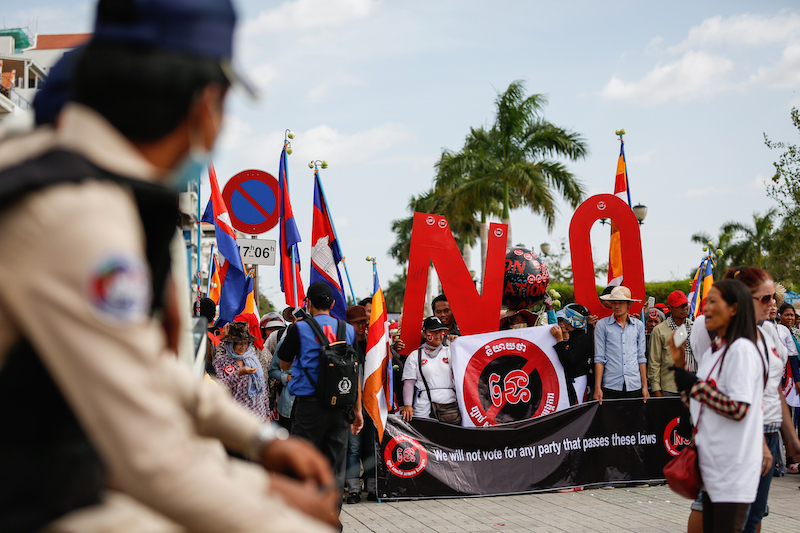 But with a CNRP-led government “almost unthinkable” in the face of CPP dominance, Mr. Strangio said a more likely scenario might see Mr. Sokha negotiating with the ruling party to form a coalition if the party did well in next year’s national vote. 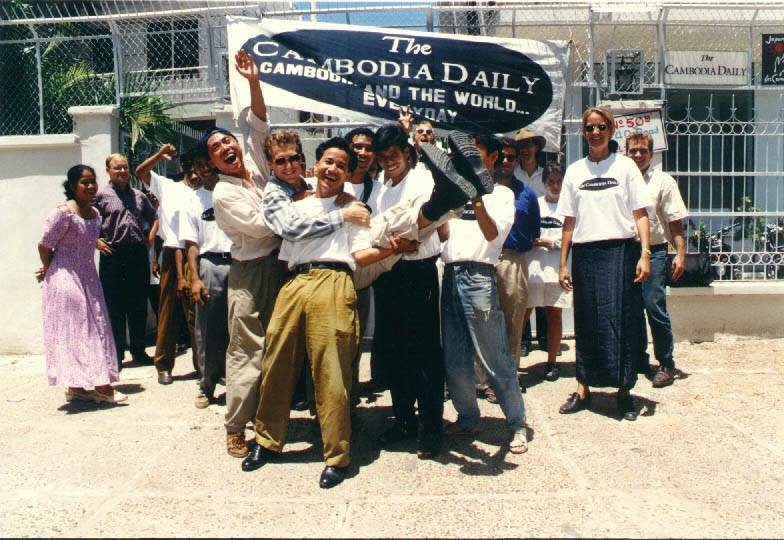 “That’s something Sam Rainsy would never have entertained,” he said.